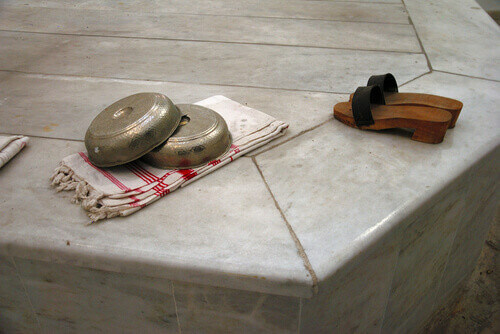 Few cultural experiences remain as close to its authentic roots the way a Turkish hamam does. 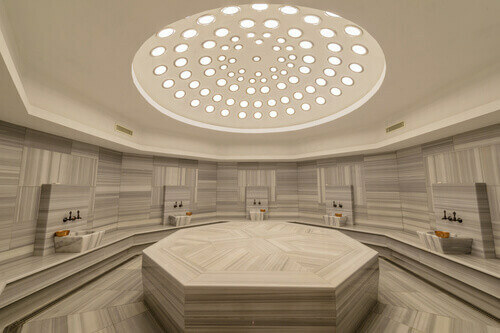 Known as a Turkish steam bath, its origin dates back to when the Ottomans took Constantinople (now known as Istanbul) from the Romans in 1450, bringing with them their own habits and religious observations to form a new bathing tradition. 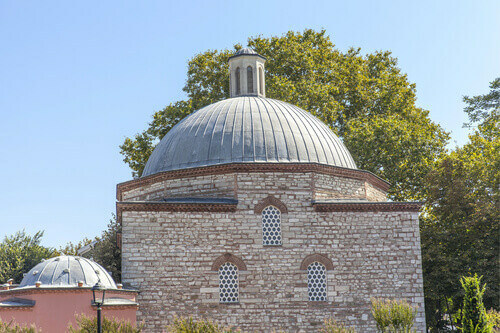 Today, a handful of ancient hamam are still in operation in Istanbul, one of them being the Hagia Sophia Sultan Hamam Bath located between the Hagia Sophia Museum and the Blue Mosque. Built by Sinan the Architect – largely acknowledged as the chief Ottoman architect – in 1556 for the wife of Sultan Suleiman the Magnificent, the 75 m long public bath is located on the site of the ancient public baths of Zeuxippus (100-200 AD), also said to be where the Temple of Zeus once stood. 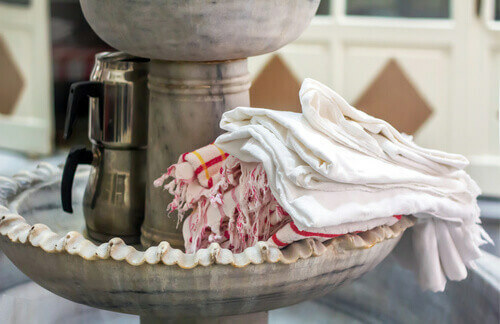 In ancient times, the hamam functioned not only as place for cleansing – hence many are located near mosques – but also for social gatherings and special celebrations like weddings and birthdays. The elaborate preparation was also due to the fact that the time spent in the hamam took up most of the day. Beyond the ritual aspect, the architecture of the hamams are of particular significance: take note of the high, domed ceilings visible as you lay on the heated marble slabs, the Islamic-style archways, the bath chambers. For the 460-year-old Hagia Sophia Sultan Hamam Bath, its classic Ottoman-era style with double baths was also the first time separate women and men areas were made on the same axis as mirror images of each other – an innovation for Turkish bath architecture. While many public baths were built over 400 years ago, the layout has remained the same, it’s still split into three interconnected sections and while some have added-on modern services like a vitamin bar and boutique, the experience remains largely the same as it did decades ago. To begin, you’ll have to decide what sort of service you’ll like at the reception. 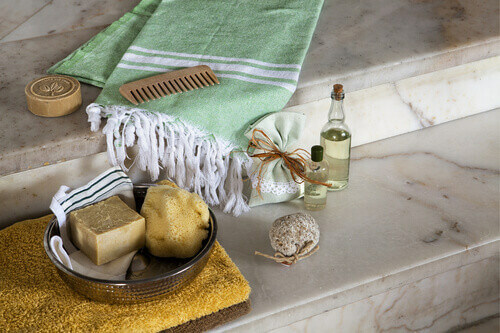 Services vary according to the hamam and package chosen but common offers include an aromatherapy massage, facial mask or oil-based foot massage. 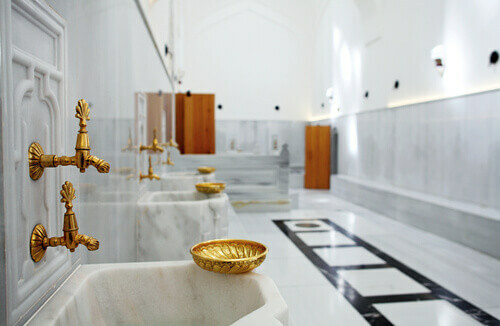 At the Hagia Sophia Sultan Hamam Bath there’s the basic Asl-I Hamam for males inclusive of traditional Turkish baths and pouches, a relaxing foam ritual, Ottoman-style custom of sherbet treats. For females, the Pir-U Pak includes traditional bath use and pouch application, relaxing foam massage, head and neck massage and Ottoman-style custom made sherbet, with other more indulgent offers. Once you’ve decided you’ll be led to to a locker area to keep your valuables and change into a pair of disposable underwear, a pestamal (silk wrap), and a pair of wooden slippers. The Warm Room: this is where you go to perspire, after you sit for a around 10-15 minutes, an attendant will vigorously scrub your skin with a traditional olive soap before washing away all the dead skin with clean water. A second scrub using a rough mitten (kese) is then administered before another rinse down. Post treatment, you will be encouraged to linger and bask in the rays of light the filter down from the high central dome. The Cool Room: after towelling off, head to the cool room to relax and drink something hydrating. This is also where you wait – if you’ve opted – for your next treatment. You will be given disposable underwear to don under your peshtemal but the pestamal will have to be removed during the scrub and massage session. If modesty is a concern, bikinis or bathing suits can be worn. It is also advised to bring along a spare change of dry underwear.